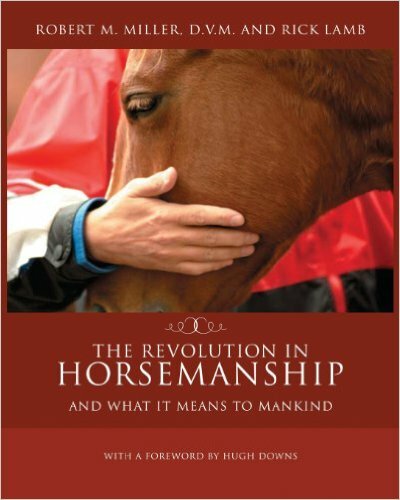 "Revolution in Horsemanship" by RM Miller DVM and Rick Lamb is a great survey (almost scholarly, not quite) of natural horsemanship's impact on the horse world in the past 15 or so years. I particularly recommend the chapter called "The Hoof Care Debate", which examines the popularity of shoeless horses and covers people like Strasser and Jackson (and even all the way back to Bracy Clark and Xenophon) on the barefoot side, plus Gene Ovnicek, Ric Redden, Rob Sigafoos, etc. Our magazine supplied photographs and some of the text (many of you will recognize the comments on horseshoe manufacturing during the Civil War). It's odd, but the chapter on hoofcare is much more fleshed out than the chapters on health, nutrition, and alternative therapies. The section on horse whisperers of the past is fantastic, they really did some good research. They also gave some recognition to people whose role in natural horsemanship is often overlooked. It would have been easy to do this book as a chapter on John Lyons, a chapter on Monty Roberts, a chapter on Ray Hunt, etc. but it is not that at all. It is very thoughtfully put together. A few years ago, there never would have been an entire chapter of a book like this on the ethics/philosophy of how hooves should be trimmed and/or shod. It is amazing what has come to pass in such a short time. Specifics: soft cover, but high quality; black and white inside, fully indexed, glossary, bibliography, resources. Cost is $25 plus $6 post in USA, $15 post ROW. Chapter titles: Natural Horsemanship, The Horse in Nature and Domestication, The Revolution Begins, The Revolution Continues, Why Now?, Why It Works and Why It's Better, Revolutions in Riding, The Cowboy Enigma: Rodeos and Ranches, Wild Horses: The Ultimate Test, It's Not Just About the Horses, Early Natural Horsemen, Whisperers, Tamers, and Professors, Revolutions in Bridling and Saddling, Other Training Concepts, Foal Training, The Hoof Care Debate, The Revolution in Equine Health Care, Equine Nutrition, Alternative Therapies, The Real Importance of Revolution. Too bad it's a bit late for Christmas, this would have made a super gift!